This morning was my very first time to send little Ella off to school:( I can't help but feel a little sad saying goodbye-thankfully its only half a day. I will be picking her up at noon, so its not as bad as if it were a full day. I keep thinking about her as that little baby who sucked her finger and rubbed her "silky" :) And now she is at school as I type! Its just crazy how quickly they grow. I have 2 kids at school right now-crazy! Me feel old. So, here are pictures of the send-off this morning. It went great-she was just so excited! I saw only the hint of sadness once in her eyes as she was talking about leaving me and Cali by ourselves this morning. It was sweet:) So, I bought her a new stylish shirt and did her hair in braids this morning. She also wore her new locket necklace that Joey and I bought her for her "back to school" gift. The necklace actually has interchangeable charms and she just loves it. She picked the locket to wear today(it even has pictures of me and Joey inside-that was her request:) Now she has us close to her heart while she is gone. So, here she is! Our beautiful Ella, aka preschool kid. Ella and her best friend, Dax. 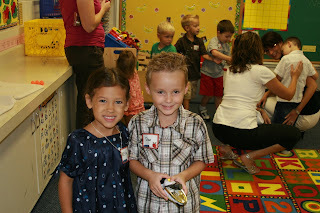 Ella lucked out to have him and several other kids from church in her preschool class! We can't wait to hear how your first day went Ella! We love you and miss you big girl! Ella is stylin'! I am definitely copying the picture of Dax and Ella. They look so cute togehter. 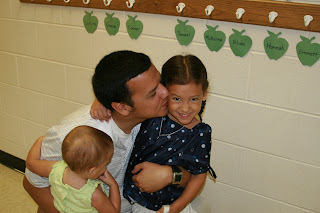 I hope Ella has a great first day at school. She looked so cute this AM. I can't believe how fast they are growning. They are growing up so fast - she looks adorable, and so excited. I love it that she has a couple of friends there already -- she'll have a wonderful time! What a cute bunch of pictures! 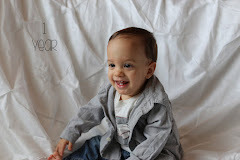 I think you will recognize that shirt if you look at my blog today! :) You guys have good taste! Yay for Ella. She looks so cute. Love the shirt! very sweet. 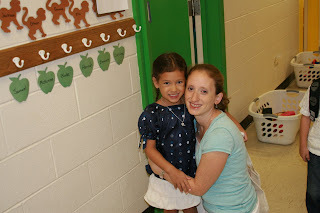 i can't believe that she is starting preschool already. she looks so cute. she has to be the most stylin kid in her class. They do grow up so fast. Her hair looks so cute. I'm glad she has Dax in her class, that probably made it so much easier with her best friend there. Dax was probably relieved too. They are growing up so fast. 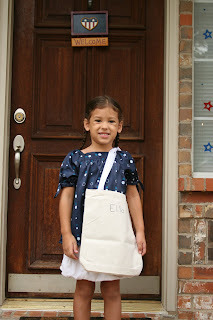 Ella- you look so cute on your first day! Cute! What a big day for both of you. She is so stylin'! I love her little outfit! Yeah, your kids are growing way to fast, make them stop already. Sheesh! How cute is she!!! You are going to LOVE Ms. Stephanie!!!! She is great! Ella looks so beautiful! I can't believe she's in school now. What a cute little outfit. 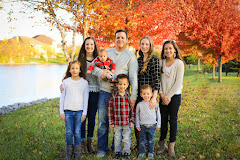 I'm so grateful that you blog and I'm able to keep in touch with what you guys are doing from day to day and see so many pictures. 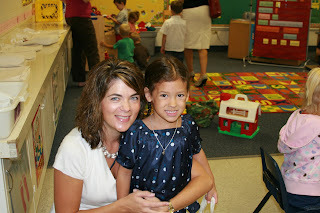 I love you Ella and hope you had a great 1st day at preschool!! P.S. 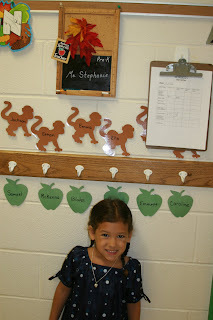 It's nice she has a lot of her friends in her class! That is so sweet. I love the locket story-precious! Great job on making tremendous memories for your girls. You are a great mama. and Happy Belated Birthday! Looks like the universe was good to you. I am glad you were born! Don't they grow TOO FAST! I am still bummed that Josh is in school and not by my side all day. I miss my other little buddy. Miss. Stephanie looks so nice. Oh, she looks so pleased and grown up. I hope she had a wonderful day! Holly, she is sooo-o cute! What an adorable outfit she has on! So exciting! Ella is a big girl now. Ella you look so cute in your new outfit and first day of school. You are looking so grown up :( looks like you were all set to have a great first day and Dax was looking pretty good as well.